Integral unveiled a 512 GB microSD earlier this year, but some competition will be good. PNY has sent out invites for Computex 2018 and it will be showing a 512 GB card of its own. The card is UHS-I U1 and V10 rated, promising write speeds up to 90 MB/s. 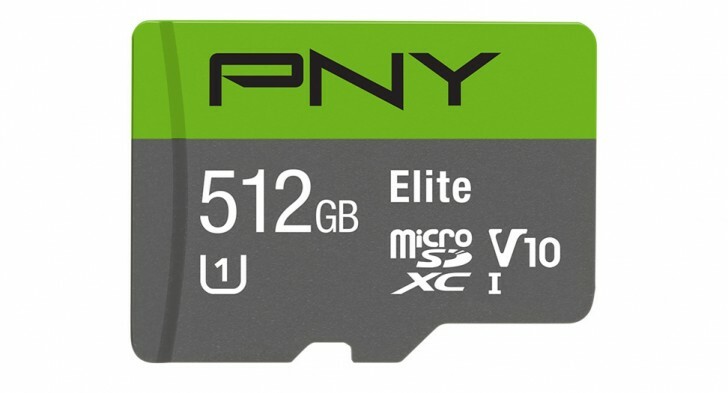 The PNY 512 GB microSD will cost $350, so it should be competitive with Integral’s offering (available in the UK for £330). With such a capacity, you can store up to 100,000 18 MP photos or record up to 80 hours of 1080p video. PNY will also show off the Elite-X portable SSD, which will offer sequential speeds of 800 MB/s write and 660 MB/s write over USB-C 3.1. It’s physically tiny, but will come in capacities from 240 GB to 960 GB.